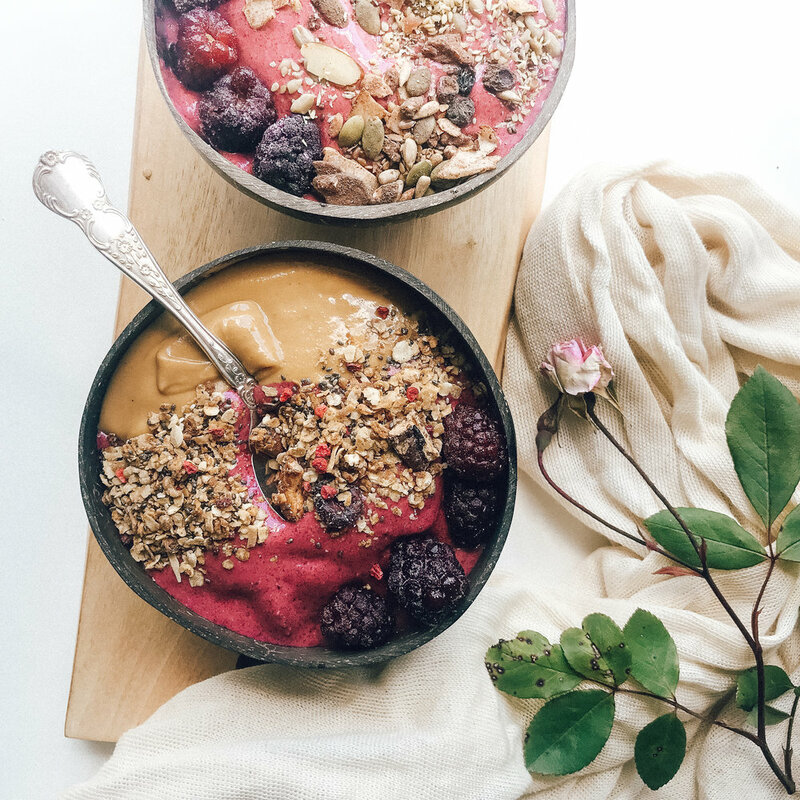 Now that summer is here, or at least feels like it is, we are going to be making Smoothie Bowls on the regular at our place. I love coming up with new flavour combo’s based on what I have in my cupboard or freezer. This is my absolute new fave, and with the boysenberries, it’s high in vitamin C! There are a few important things to remember - first, you need a good blender. If you have a bullet or smaller blender you may not get the result you are after, or it just might take a while. You have to BLEND BLEND BLEND! Secondly, I used to just throw everything in and blend all at once, but I do think it works out better if you add the liquid in slowly as it’s blending. Makes it harder to add too much and end up with a smoothie. Make sure you add lots of good stuff on top, especially crunch! PS. The immune blend mentioned below is a health blend from The Wholesome Co. The key is in the blending, add only a tiny bit of liquid and start to blend, adding more slowly as it mixes. Once you get nice and smooth and to your desired consistency, you’re done!